This week pick up Tide detergent for less at Walgreens. Now through 5/20, Walgreens has Tide Simply on sale for $2.99 per bottle. 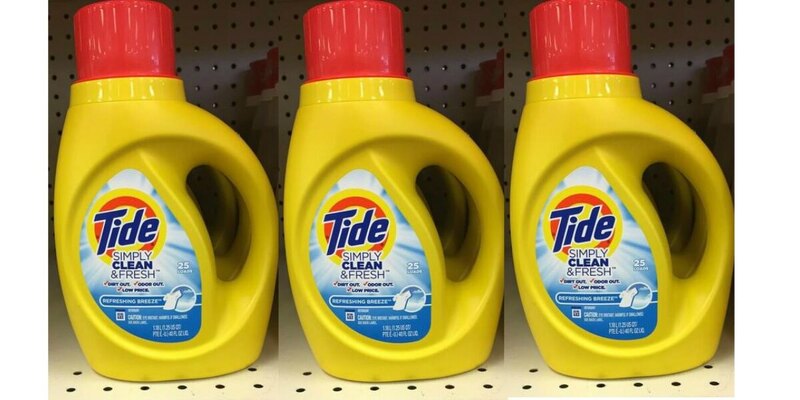 We have a $1/1 Tide Simply Detergents 37oz+ Era 40oz+ Downy 40 loads+ Bounce 60ct+ excludes pods and downy sheets coupon from the 5/14 Red Plum Insert making this just $1.99 after the coupon! That’s only $0.08 per load!